Wildcat Coaches are all volunteers. We welcome parent volunteers to assist the coaches at practices. Over the years we have had many Wildcats who have gone on to high school and college. Many come back during their off seasons when they are allowed to run with the Wildcats or when they are home from college. There are too many Wildcat alumni to list that frequently drop in to run and help out. We thank them for their past and ongoing assistance. 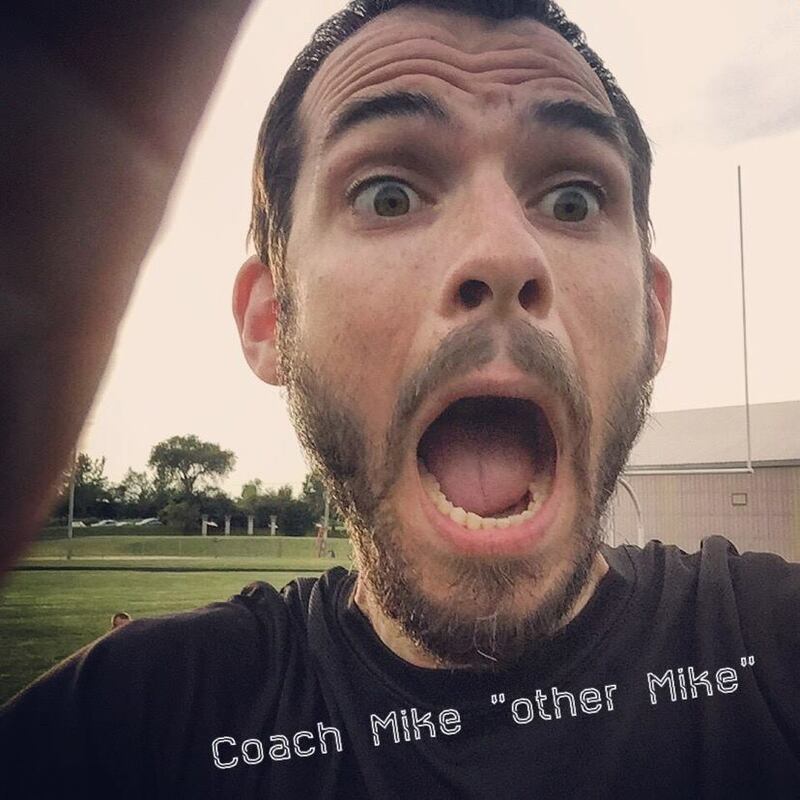 Mike began his running career in 6th grade as a 100 meter runner, after some inner reflection he was fairly certain he was a terrible runner. He would go on to spend the next several years, the rest of middle school and much of high school, finding his race(s). Through trial and error and perseverance he would become a pretty good 800 and 1600 meter runner. Beyond high school and up until age 22 he had never run further than 3 miles, it took a persistent and angry dog, all be it small chasing him to that distance before the dog gave in. Finding running to be a bit of a chore he spent several years, by his own admission being incredibly lazy. Finally during graduate school, a friend asked him to go for a slow 3 mile run with him….he not only covered the 3 miles easily but along the way found the spirituality of running discovering that it could be both relaxing and fun! Soon after discovering that running was fun he also met and married, she too was a runner. They would run marathons and half marathons and while training for these in and around Rock Cut State Park, he would fall in love with trail running. A few years ago the running couple, now expecting their second child, had their first a daughter Lucy, at this time Mike wanted to get involved with something meaningful. Mike found that meaningful something in the Wildcats and wants to pass on to Lucy and her soon to be sister as well that running can be relaxing, or challenging, or whatever you want to make of it, at whatever distance or speed you want to go. But first and foremost it should always be fun! Those are lessons he says he wished he had learned at a much younger age. For the past several years he has been teaching the lessons he missed to those who are a much younger age. Running with this Coach Mike is always an adventure, a challenge, and inspiring but most of all FUN! Mike did not begin running until 1980. Since then he has logged over 55,000 miles. He has two children that have run with the team. 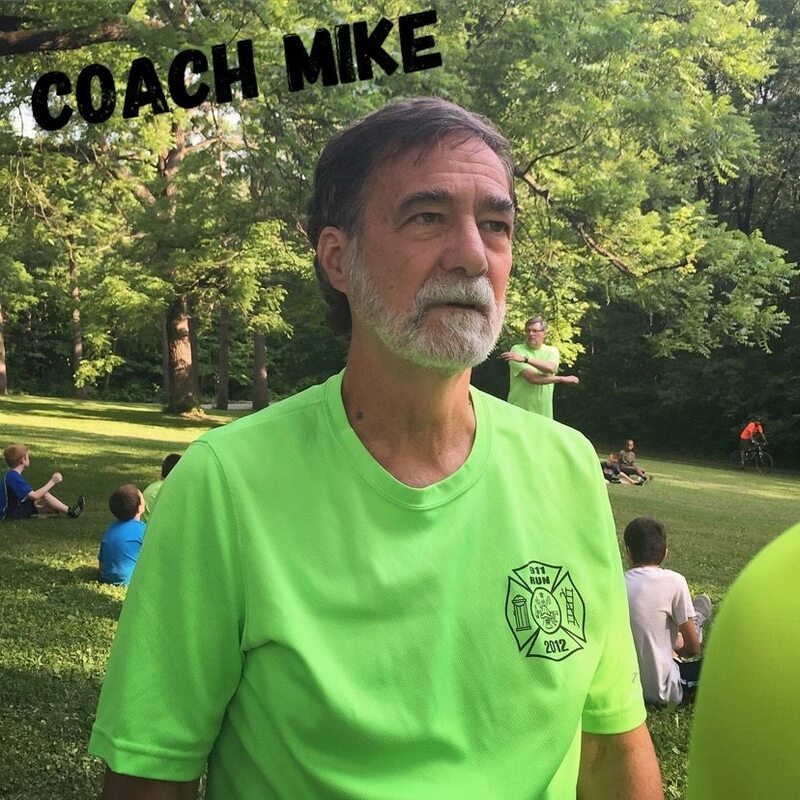 Mike began volunteering as one of our running parents in 1997 and served as an assistant coach for three years before becoming head coach from 2001-2015, he continues to be an assistant coach. 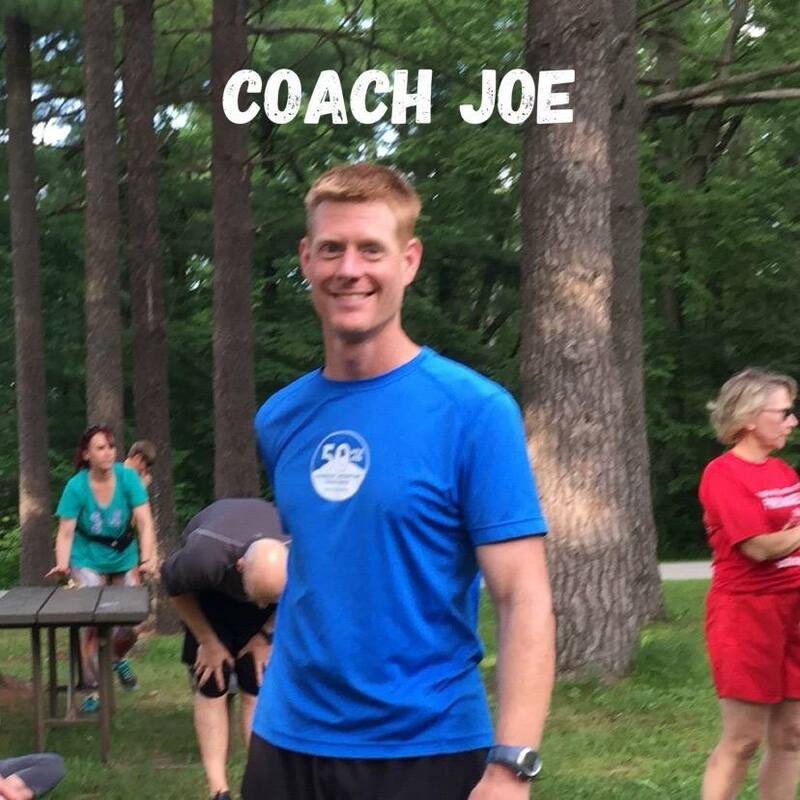 He served as race director for the State Street Mile for four years and is active at many local running events, he has served as the President of Rockford Road Runners and currently assists the running club as their web site administer. 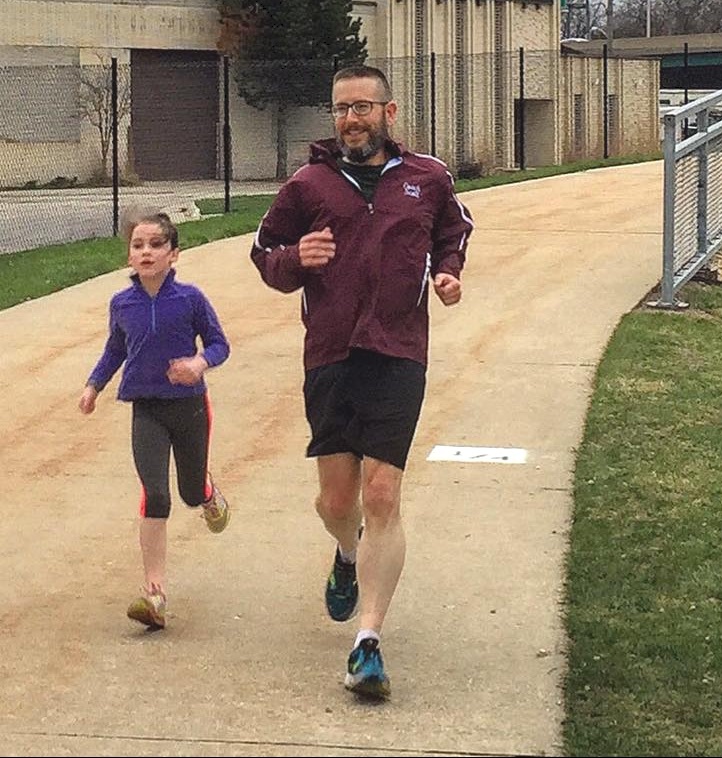 This is his 22nd year of taking Wildcat children for a run. 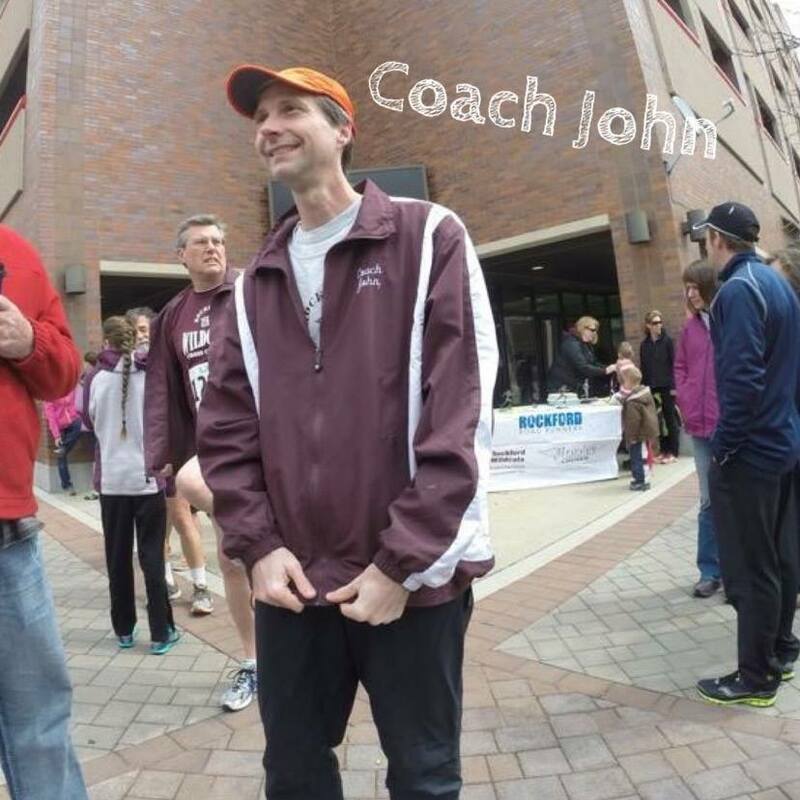 John began running with the Wildcats in September of 2001. 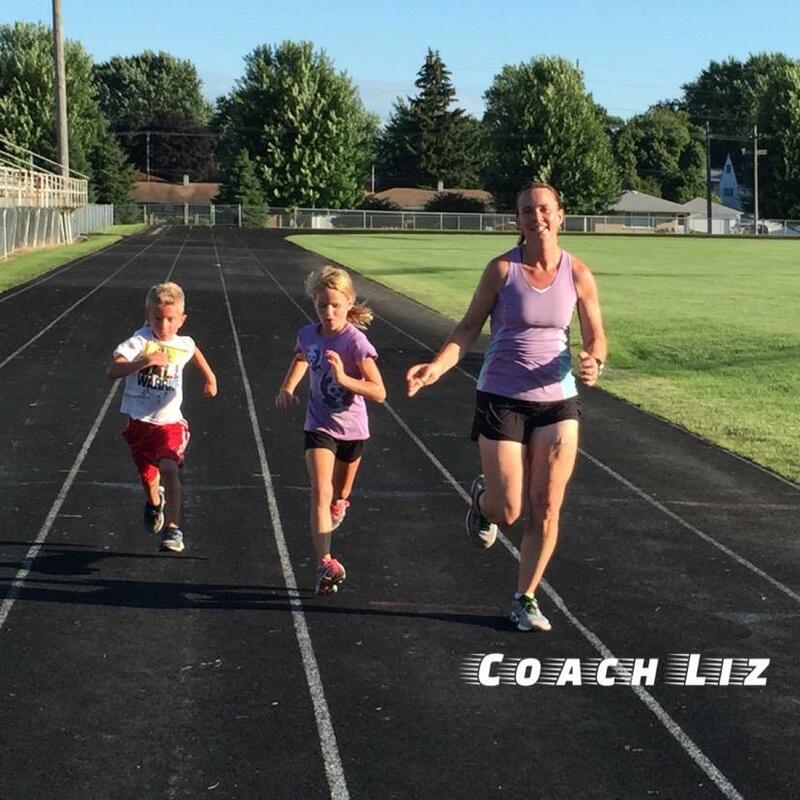 A Rockford Road Runner who answered our call to the running community to help promote and teach the sport of running to children. He as run thousands of miles over years helping our Wildcats become better runners. He was chosen as Rockford Road Runner of the Year in 2004. We ask for a resume from our coaches so you can get to know them. The following is John's response to our request. It shows his sense of humor and dedication to the sport of running and to the Wildcats. John served as a Co-Head Coach from 2008-2015, this will be Johns 17th year as a coach with the Wildcats. " Ugh. Writing a running resume. I could probably embellish without much chance of fact checking, liking saying I won the Sauk City Cow Chip Classic 5K run in 1985. The funny thing is I really did run in that race and finished it in around 17:50, but I didn't even place in my age group. I was bummed, because they gave trophies with little cow chips on them. Ah, well, here is the mixed bag of running I've done. Never won a race, but always finished. In 4th grade ran around the school enough times during lunch break to run 60 miles. (Still have the trophy) Ran high school track and cross country in High School at McFarland, Wisconsin. Lettered three times. Graduated in 1983. Started running road races in summers of 1985 to get back in shape. Dry heaved my way to many good times and lots of t-shirts. Ran on and off for many years, but with little conviction. On a lark, in March of 2000, a friend from high school who ran cross country with me asked about running a marathon. 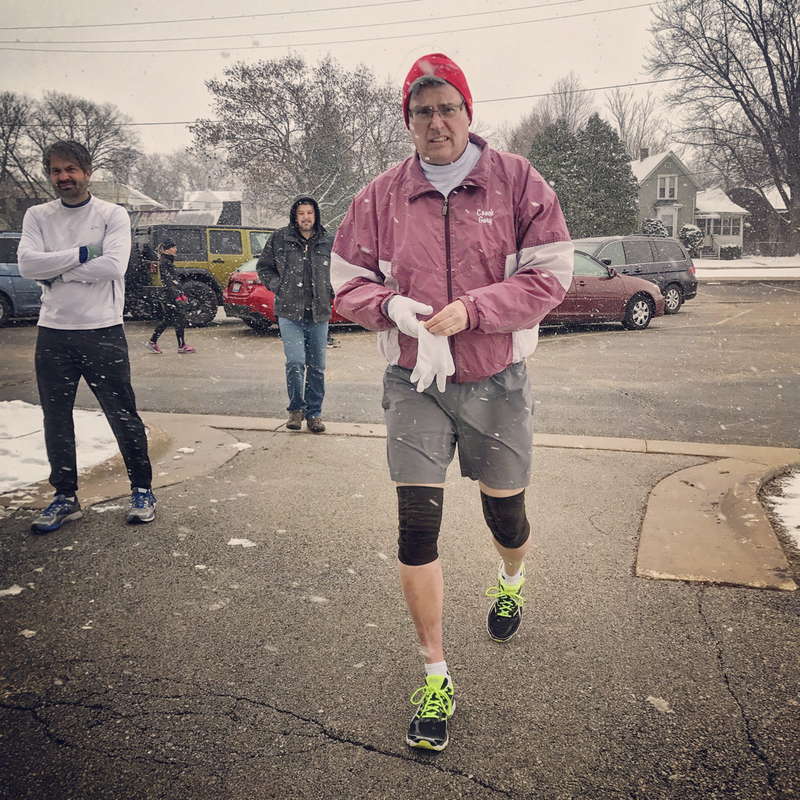 Started training, ran road races in Rockford area and finished my first marathon, the Milwaukee Lakefront Marathon on October 8th, 2000 in 3:46:31. Ran four more marathons since, including the Berlin, Germany marathon in 2004. Compete in Rockford Road Runners Circuit races and have won my age group 3 of the last 4 years and finished 2nd once. Started with Wildcats on September 24, 2001 as a volunteer. (I checked my running log for this one, my memory's not THAT good. )Running with children and watching them progress, no matter what their level, is more rewarding than finishing a marathon will ever be. Completing a marathon means I got one person across the finish line. Helping train 50 children means I contributed to getting 50 bodies across the finish line. And on to bigger things." 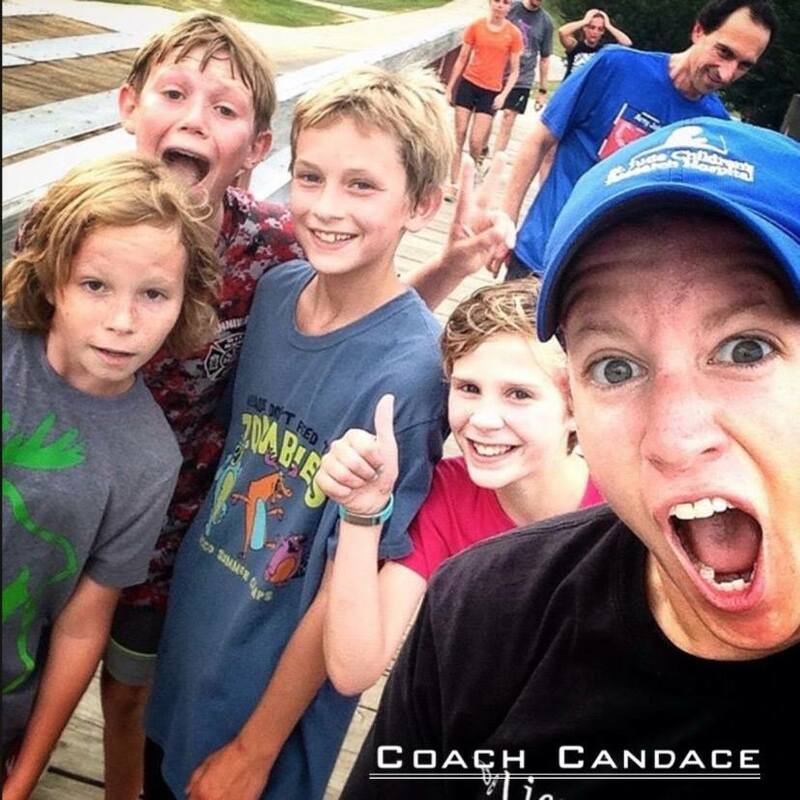 Gary began running with the Wildcats as a parent volunteer. His daughter ran for Boylan High School brought him to the Wildcats in 2001, he has stayed on long after his daughter left, as an assistant coach. We are still researching his running history and hope to have it soon, however we know that in his youth he could run five miles in 30 minutes.. Gary is now in his 17th year of coaching and running with the Wildcats, he has and does inspire many hundreds of Wildcats over the years. I was never a runner. My journey to discover the love of running started in 2002 when I discovered St. Jude Children’s Hospital runs. The St Jude runs are an annual event in the Peoria area where I am from. My very good friend Laura Valentine was a St. Jude patient and inspired me to run in her first St Jude Run from St. Louis, MO to Peoria, IL. Since then I have participated over 11 St Jude Runs (170 miles in 34hrs), raising over $15,000 for the Children’s Hospital. Sadly my friend Laura lost her battle to cancer at the age of 16. Little did I know that Laura’s inspiration and push to get me to run my first St. Jude run would open a portal to a new life, new friends (really family), and a love for running. I now run marathons, half marathons, trail races, and other races throughout the US. I don’t really have much else to say and I wouldn’t call this much of a running resume. I am not a competitive runner. I am not a fast runner. I just love to have fun and run. The best part about Wildcat’s is having the kids just happy to be out running. You know what is crazy? Their parent’s trust us enough to take them out on a run. We get to do what we love, and I hope transfer a little bit of our wisdom along the way too. It was after a practice a couple of years ago when Coach Mike M (the head guy) went to leave and shouted back to all us coaches, “I’m out of here and thank you!” He put his hands up in the air, which were holding multiple clipboards of sign-in rosters, and with a smile on his face said, “We must be insane to take 80+ kids out running in the woods! !” Everyone laughed. But you know what I was thinking??? Yeah but it is a GOOD insane. Because we must be doing something right... because at least every week I have a parent come up to me to say thank you. The kids keep coming back with smiles on their faces. I get in my car after every practice and I think to myself I am so glad I get to do this coaching thing. I have to say I am pretty lucky for all the new people in my life, the really great coaches I get to run with, and all the Wildcats and Wildcat parents. 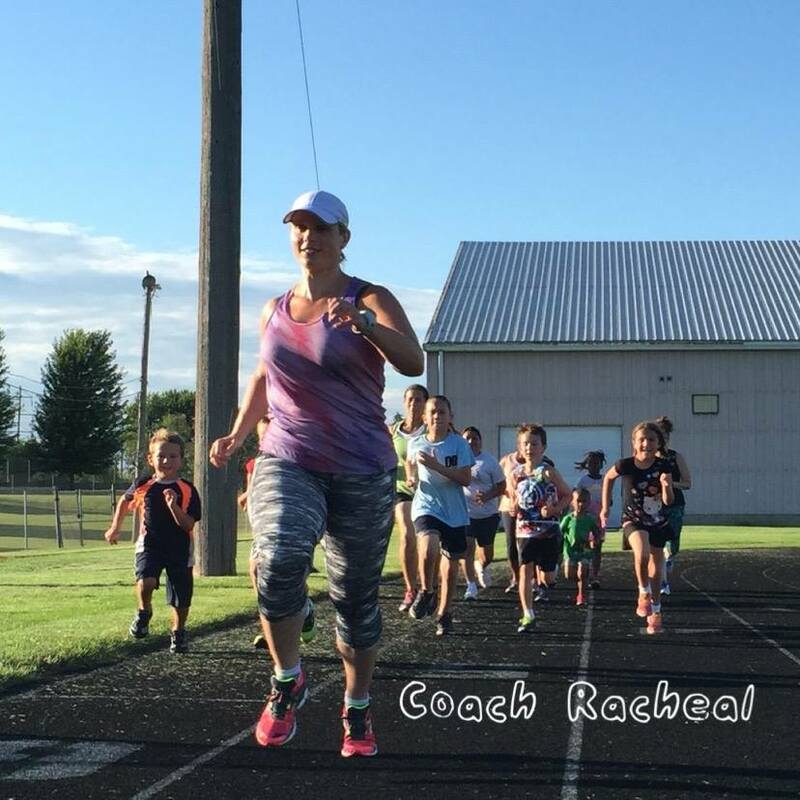 The coaches and kids have made me such a better runner, a better coach, and I hope a better person too. Candace moved to Rockford several years ago and one of the first things she did was contact us as she wanted to volunteer for something in the community and help make a difference. She has made a huge difference in the lives of many children; she is a great role model for our young runners. She is currently also in the Army and continues to actively serve in the National Guard we often half to share her with them as she is away from time to time meeting those obligations. I started running because I wanted to do something different. I was an active endurance mountain bike racer. I won the Wisconsin Endurance Mountain Bike Series in 2008, and the National 24 Hour Series Championship, both in the Solo Women's category. I started trail running because it was like mountain biking without the bike. During a blizzard in 2011 I was reading Trail Runner Magazine and they had this thing called the Trail Runner Trophy Series and I said to Joe, I think I will enter this and win, and he said, okay. Spent 2011 driving all over the country and ran 16 races (many of which were back to back marathons and 50ks) and won. Running long races went well with my endurance background. Have run about 50 marathons or races of greater distance, might be more?! Personal best was the Milwaukee Marathon 2014, 3:39:20. The thing I love about running the most is the people you get to meet along the way. Really made some wonderful friendships in the running community! The first running race I ever did was a marathon, and I was 35 years old. For that matter it was the first running I had done. A marathon may seem like a big race to start with but I wanted something big to demand my attention to the training, because the training was really the goal. I have always been very active, but had fallen out of regular exercise, work and adulthood seemed to have gotten in the way. I did know that I wanted to get back to being active however. Running was a rather random activity to choose, but it fit my life very well. The only requirement was for me to put on my shoes and head out the door. I have ran a lot of races since that first one, some on the road, many in the dirt, even a few in the mountains. I also have the pleasure to participate in these efforts with my wife (Coach Liz), and sometimes take great pride when she beats me to the finish. Along the way we realized that these races take a lot of volunteers and we decided to start participating at that level as well. One of the volunteering positions is running with the Rockford Wildcats. Not only do we get to enjoy the company of all the kids, but the other coaches have become some of our closest friends. It’s a wonderful experience and I’m glad we started. I began running with the Wildcats in the Spring of 2010. Unlike my colleagues, though, I had the opportunity to begin my running career as a team member of the Wildcats, shortly before my eleventh birthday. The five years I spent as a Wildcat changed my life. I learned self-motivation and commitment, and I ran even when I didn't want to (which was pretty often). My PRs never rivaled my peers', but I still don't think I wasted any of the time or effort I put forth toward running. Eventually, I realized that running had to be about improving myself and not being better than anyone else. In the Spring of 2015, I began running as an assistant coach. I realized just how much the group had given me, and I wanted to be able to repay that. Having the opportunity to make the same difference in children's lives that my coaches made in my life is really an amazing thing. The Wildcats are fortunate to have Stephen as a Coach. He is respected and loved by all. He demonstrates what leadership and selflessness is and a young man we look forward to seeing even bigger things from him in the future. Dennis started running with the Wildcats in the spring of 2013 after having just taken up running in the fall of 2012. He became involved with the Wildcats when his son Sam started running in the spring of 2011. He would help out wherever possible, but did not run. He made sure to let coach Mike know when our son started running that he was coming from non running parents, little did he know that was going to change. Dennis loved seeing how Wildcats was helping his son hone his running skills. He had guessed and wished that he could be a bigger part in that process. 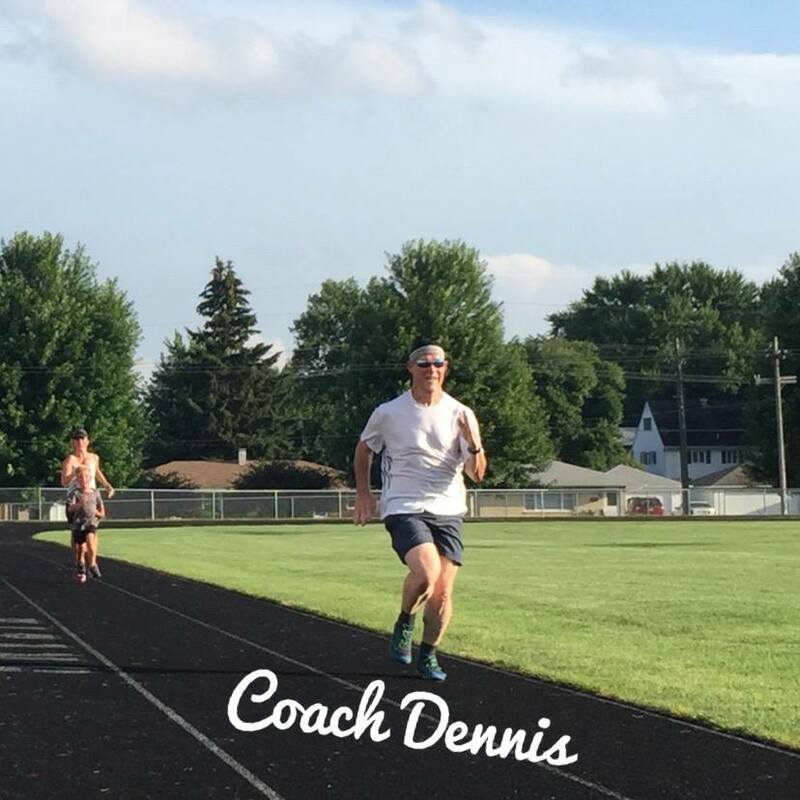 Dennis has said his progress in running couldn't keep up with his son's, he loved his time at each practice running with other Wildcats and watching them grow.” Dennis dedicated 3 years as an assistant coach . Dennis passed away in November of 2015 we are grateful for his dedication and spirit that he brought to the Wildcats. His ever present smile, patience, and encouragement to every child that ran will forever be remembered by both the children he ran with and the coaches and parents who admired him. The Wildcats would like to thank all Coaches that assist throughout the year. Our little running family would not be able to take kids for runs without the time and effort given by these volunteers. THANK YOU!! !